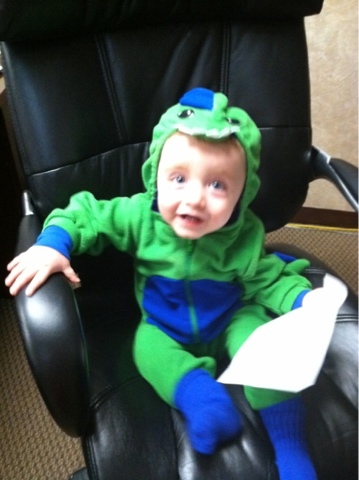 Carson was a dinosaur for Halloween and he loved his costume!! 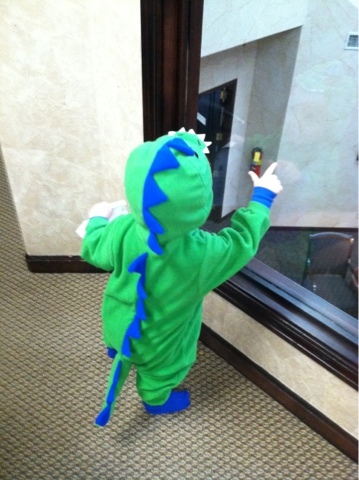 He didn't want to take it off and he loved the stuffed tail that wags when he walks. He is so stinkin cute!